Sorry October wasn’t productive for you. We all dropped the ball some times. I even missed a poetry submission to a literary magazine and dropped the ball on my current WIP rewrites, beta reading and edits that have to push back querying it to next year, which goes against my 2015 writing plans. Most we can do is not to let it get us down too much. Reorganize goals and priorities. Write and read as much as able. And hope for the best. Oh my goodness! You made me tear up with your daffodil story! Maybe it’s the parent in me, but I loved it. I think we all have unproductive months. I know I’ve been there. Consider it a time to recharge. I’ll read your other story before the end of the day. My husband has a job interview today, so my schedule is screwy, cutting into the time I can be online. But I’m looking forward to reading it! Hey, it’s too late now to say good luck so I’m crossing my fingers that your husband gets the job! Thanks 🙂 I wrote it for my sister who is a single mother. Sometimes I don’t think she realizes how strong she is. But she read it so, maybe she has a clue now. We all drop the ball sometimes, and beating ourselves doesn’t help anything. Make a plan to pick it back up and get moving! This is true. Halloween is not the only time for creepy stories. What’s the name of the anthology? That was an adorable story. I don’t say this often, but it is perfect as written. Submit it immediately and don’t miss the deadline. 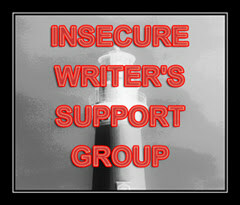 I too missed the IWSG anthology deadline. Ah well, there will be other opportunities. I read creepy and horror stories all year long – when I have time to read – and not just in October. If its not specific to Halloween, it doesn’t matter when its read. This is true. But I meant to do a lot of advertising for it and I just never did 😦 At least I am now. And thank you! I am submitting… probably next pay day. 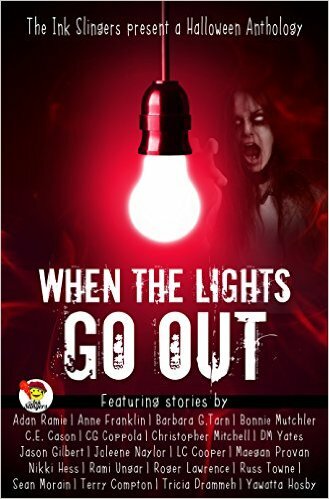 I thought “When the Lights Go Out” looks pretty cool, I picked up a copy (though now I have the Chris Jericho/Fozzy song “Lights Go Out” stuck in my head). You should have told us about it before Halloween! I emailed you a few thoughts about the Mystery on Sanderson Street story. It was really fun! I’ve had more than a few times of dropping the ball myself – usually when I set my aspirations ridiculously high or think I’m somehow magically going to stop being lazy on weekend mornings. >_< High aspirations are generally good, but there has to be some realism there. But the best way to deal with it, I think, is to keep going. Accept that you didn't do all you wanted to this past month, set new goals, and work toward those. Trying again beats the hell out of giving up.